O Immaculate Mother, Queen of our country, open our hearts, our homes, and our land to the coming of Jesus,. from spiritdaily.com By Michael H. Brown SPRAWLING COMPLEX IN INDIANA HAS CHAPEL WHERE ‘OUR LADY OF AMERICA’ APPEARED The chapel is. 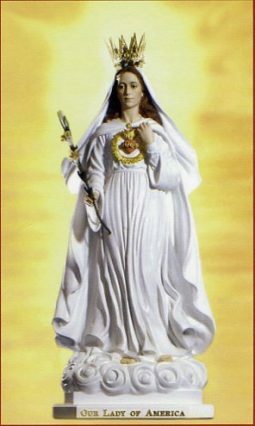 from spiritdaily.com By Michael H. Brown THE STUNNING LINKS BETWEEN ‘OUR LADY OF AMERICA’ AND OTHER APPARITIONS The apparition we have.